A crop for the wandering romantic, the Babe Time pairs feminine design with a flirty cropped length. 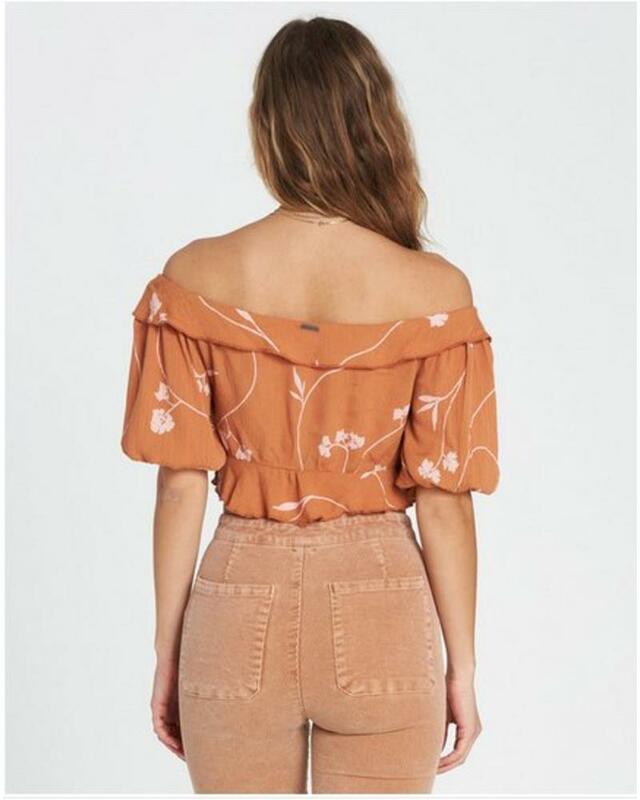 Perfect for pairing with high waistlines, the woven crop top is finished with ruffled trim and a neckline that can be worn on or off the shoulder. Ruffle at neckline and hem. Elastic at hem and sleeve hems.